With a built in clock with a programmable start time, you can time your loaf to be ready whenever you want. 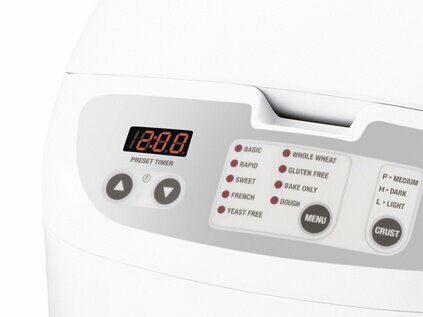 This way, you simply leave the kitchen and come back to a freshly baked hot bread in this revolutionary oven. 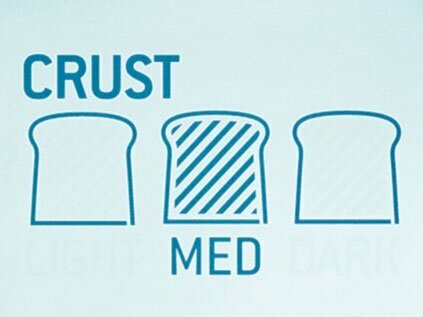 An interesting feature, this system allows you to choose from 3 or 4 different crust settings to suit your taste. From light, to crunchy and crispy crust, you can have it in your way. If power is interrupted for 5 minutes or less, the program will automatically resume when power is restored. This is especially useful if there is someone in the house who is always clumsy with switches.